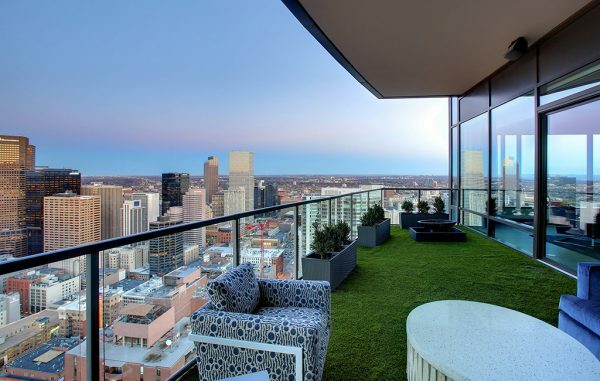 One of Denver’s highest residences is off the market. The penthouse on the eastern side of the Four Seasons building sold for its asking price of $10.75 million last week, after less than a year on the market, according to county records. 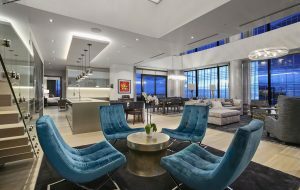 The penthouse spans a portion of the top two floors of the 45-story Four Seasons building, which is Denver’s tallest residential building and fourth-tallest structure overall. The sister penthouse on the western side of the building — hello, mountain views — is still on the market for $13 million, Kniss confirmed. Bergman grew up in Sweden, according to a September interview, and previously was the chief technology officer at Wikia, which now does business as Fandom. One reason he might want a home in Colorado? He’s a serious skier, posting on Twitter about hitting the slopes worldwide 90 times in one 12-month period. The Four Seasons penthouse was listed for $10.75 million. San Francisco-based Fastly, a cloud computing services provider, has had an office in Denver since 2015. The company signed a lease in late 2017 for 15,400 square feet in a building along Larimer Square. Bergman’s new pad is less than two blocks away. Fastly has raised $219 million since it was founded in 2011, according to TechCrunch. The company said it hit $100 million in revenue in 2017. Buyer: Skycastle LLC. Artur Bergman, founder and CEO of tech company Fastly, is the sole member of the LLC. San Francisco-based Fastly has had employees working in Denver since 2015. Sellers: Timothy and Bernadette Marquez. Tim Marquez founded Denver-based oil company Venoco. 1 Comment on "Tech exec pays asking price — $10.75M — for Four Seasons penthouse"
Why are you revealing the name of the buyer? The agent declined to give the name because that puts the buyer at risk. Now there public knows where this gentleman and his family live! So irresponsible and unnecessary!